As proof that good design is timeless, another of Leonardo da Vinci’s designs is going to be built—out of ice. The design was created by Leonardo in 1502 at the request of the Turkish sultan. According to the History website, it was supposed to be a 240-meter stone bridge that would cross the Golden Horn, an inlet of the Bosporus located on the western side of Constantinople (modern-day Istanbul). At that time, it would have been the longest bridge in the world. This winter, students from the Eindhoven University of Technology along with volunteers will build a scale model of Leonardo’s design as the main objective of their master thesis. Situated in the Finnish town of Juuka, it will be the biggest single-span structure in ice in the world. This is not the first time Leonardo’s bridge design was constructed. In 2001, the Leonardo Bridge Project based in Norway built a full-scale model made of wood. 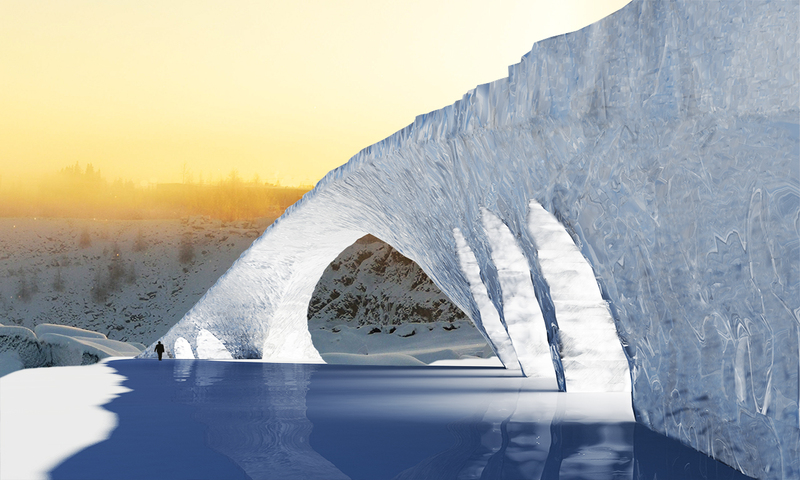 The team of student-volunteers would build their bridge with reinforced ice called pykrete. In their research, they found out that mixing cellulose fibers with water will result in an ice-composite which is 3 times stronger than plain ice and 20 times more ductile. Construction designers at the university expect the bridge to be able to easily bear the weight of a car. The bridge will only be used by pedestrians however, except during the opening when a car will be used to test its strength. The bridge will be part of a snow track along with other experimental ice projects and sculptures. The Built Environment department of the Eindhoven University of Technology has built ice structures over the past three years. They’ve led the construction of the largest ice dome structure and the Sagrada Familia in Ice, the tallest ice dome structure. 150 students and volunteers not only from the Netherlands but also from Belgium, England, Scotland, Portugal, Switzerland and Finland will make the trip in Juuka to build the bridge. More information can be found on the project website, Structural Ice. You can also visit their Facebook here. What do you think makes a design timeless? Comment below!